Patient review marketing and reputation protection for cosmetic medical practices, laser clinics, dermatologists and plastic surgeons. Discounted Podium account: coupon, special offer, cheap, medical, spa, salon. If you think you need better online reviews, you do. a 10% discount forever (save $330/year) and on-demand patient review marketing training for your entire staff ($597 value). To begin, just click this button and fill out this form. You'll be contacted directly by Podium who will set up your new Podium account. Add the following information if someone other than the account owner will be setting up your account. This is not required but will speed up the process. We've received your submission. Thank you! You've made an excellent decision. We will review your information and contact you within the next few hours (usually) to set up your new account and arrange onboarding. 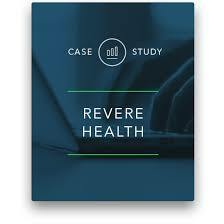 Powerful patient review marketing and reputation protection for your medical practice or clinic. Podium captures reviews on patient checkout - when patients are happiest - and posts those reviews directly to whatever review sites (Google, Facebook and 100+ others) that have the largest impact on your business. We'll build your patient base, and your profitability. Podium is loved by 10,000+ businesses as the best patient review marketing software anywhere. Be found (first) by new patients looking for your services. Most buyers start their search online. That's bad news if they're not seeing your clinic. The good news? 80% of your patients say they would leave a review if asked and Podium snags them at the perfect time - checkout - getting their review and pushing it to the Facebook, Google, Yelp or other sites that drive up your search engine rankings and visibility online. search for local businesses online before they contact the business. of patients consult online reviews before buying local services. Average number of reviews generated in the first 3 months. Make your clinic the obvious choice. Potential patients are reading your reviews. you'd better make them good. Great reviews drive new patient contacts, inquires, and buying decisions, and they make patients more accepting of things that might go wrong. Podium lets your patients build your your brand trust and generate hundreds of reviews on sites like Google and Facebook, making your business the obvious choice. of purchasing decisions impacted by online reviews. trust online reviews as much as a personal recommendation. say that the content of a review convinced them to make a purchase. Grow your sales and profitability. Average number of new patients per month who cite online reviews as the reason for their visit. of patients are willing to pay up to 15% more for the same service if they're assured the'lly have a better experience. reported by average Podium user. and a single unhappy patient to destroy it. Lots of negative physician reviews are left by the unhappy patients who leave negative reviews that damage your reputation and cost you business and stress. Podium collects your patients reviews at the perfect "moment of happiness" as they're checking out, capturing reviews from your most satisfied patients, providing a better view of your clinic, balancing those negative reviews and driving new business. Percentage of new patients you can lose from 1 negative review. Percentage of new patients you can lose from 3 negative reviews. growing revenue and profits, and protecting reputations. + free patient review marketing training for your entire team. Podium is a Utah-based software focused on powering the modern relationship of trust between businesses and customers. Podium brings marketing, operations, and customer experience into one platform, helping businesses drive user-generated content to better understand customers, increase visibility, and influence purchase decisions. Built to utilize everyday consumer technology, Podium enables you to influence what is said and where it’s said by focusing on the sites and the metrics that matter most to your business. How much does Podium cost? If you call and sign up with Podium as an individual it's going to cost you $3,900 your first year for each location, $300 for training/setup and $3,600 for the first years subscription. How much can I save as a Medical Spa MD Member? But we've cut an exclusive deal with Podium for you. If you join as a Member you'll immediately save $660 the first year and $360 every other year as long as you're happy and want to continue to use the software. BAM! Customized Patient Review Training Course for your entire staff. Piece of Mind + White Glove Support: As a Member, if there's an issue you can complain directly to us, and we'll listen and advocate on your behalf. How large does my practice or clinic need to be for Podium to make sense for me? If your clinic's gross sales are $300k+ a year you'll want to take a serious look at what Podium can do for you. Do my patients need a Podium account? No. Your patients will receive a review request via text. They never need a Podium account. Can I request the review site where my patients leave reviews? Yes. You can set the primary review site to Google, Facebook, Yelp or other review sites, but patients can choose to leave a review wherever they're most comfortable. Is there a free trial period? Can I get a trial account? Nope. This isn't a freebie throw-away offer or something to get a few reviews and then turn off to save a few dollars. This is enterprise grade software that's intended for real businesses users. If you're not a real business and can't afford $270 a month, this is not for you. Yes, you can cancel your renewal a the next yearly cycle but you will not receive a refund for the unused portion of your current subscription period.